After hiking in the Iao Valley, my husband and I stopped off at Maui Fish and Pasta for happy hour on the way back to our hotel. We were seated right away at a table with a great view. We started with cocktails. 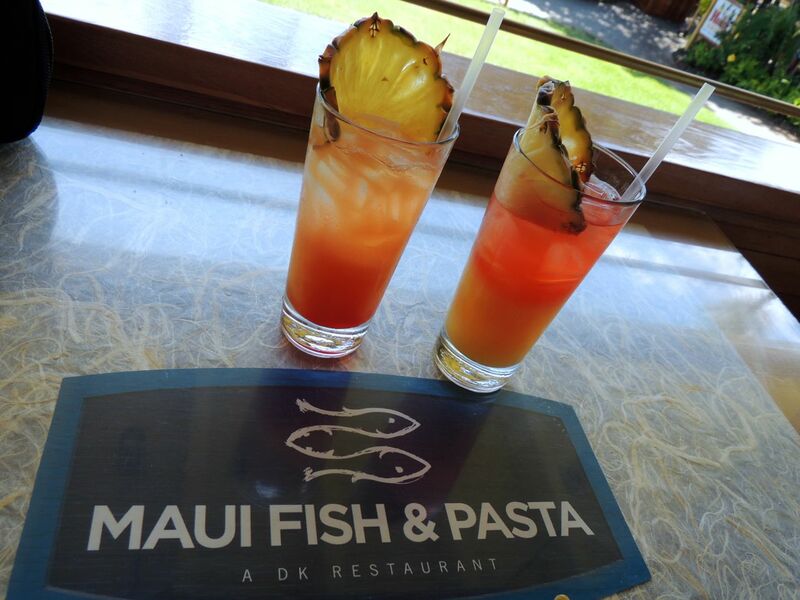 I ordered the Hula Girl, which included light rum, amaretto, orange & pineapple juices and a splash of Grenadine. It was good but mainly tasted like pineapple. 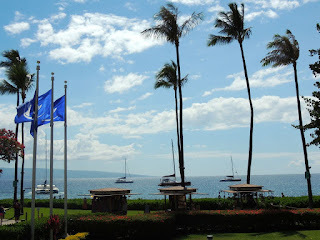 My husband ordered the Hawaiian Punch, which included vodka, amaretto, Southern Comfort, Sloe Gin and pineapple juice. His drink was definitely stronger than mine with a more complex flavor, a definite winner. 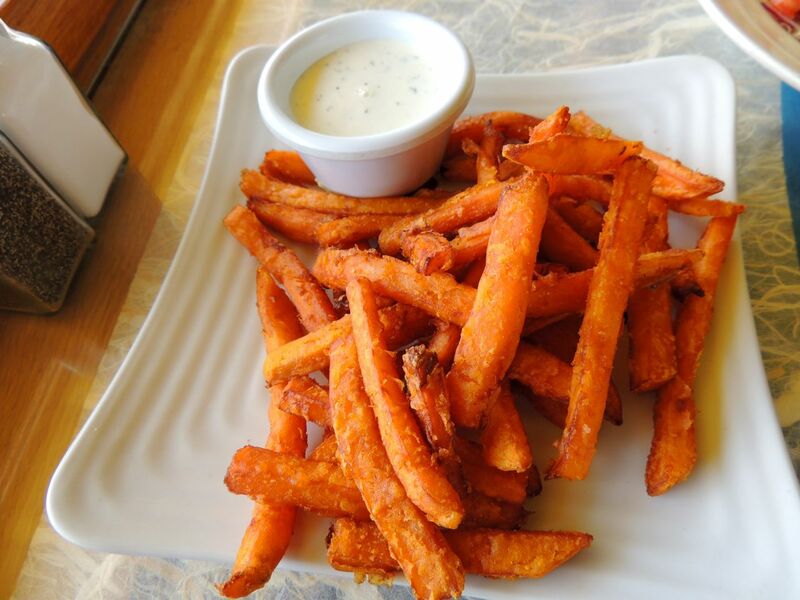 For food, we ordered the sweet potato fries, which came with a ranch dip. They were almost undercooked, with I liked. They didn't taste greasy. We also ordered the Fried Brussels Sprouts Milanese. They were topped with capers, truffle oil, Parmesan cheese and a fried egg. They were really good, but not as good as at Cleo in Hollywood. 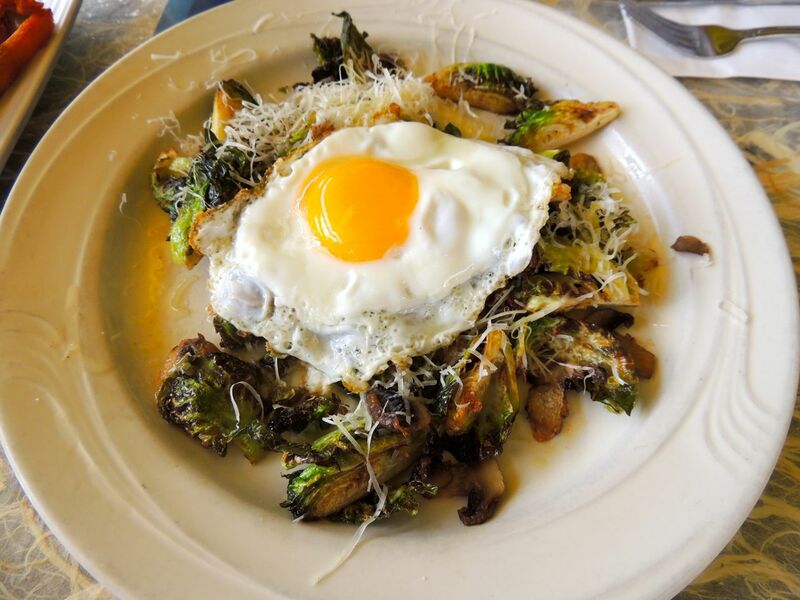 If you live in L.A. and haven't had the Brussels sprouts at Cleo, you're missing out. 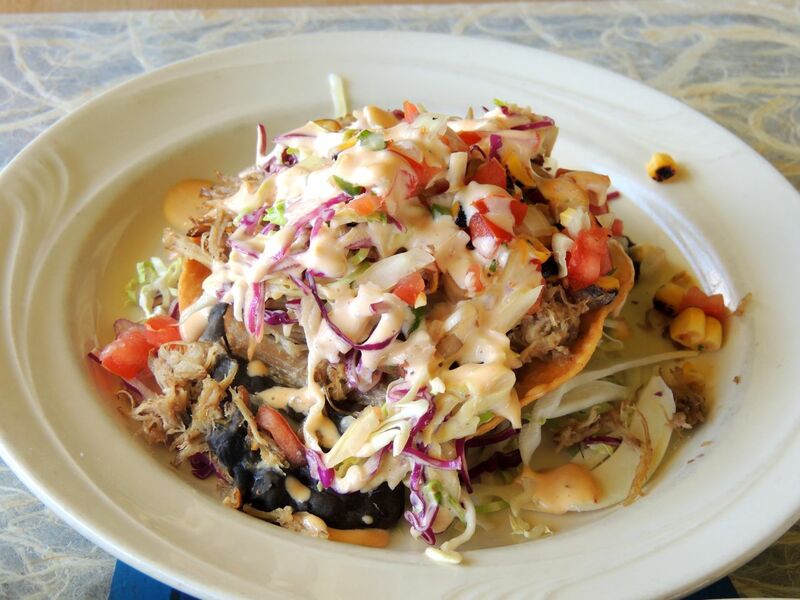 Our last pupu selection was the Kalua Pork Tostada. The pork was smoky and delicious. It was a great combination that felt like a Hawaiian version of Mexican food. It was a great happy hour experience. Everything was delicious.